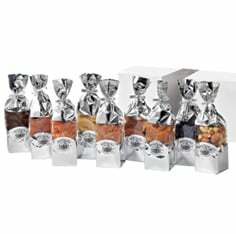 Silver mylar pouches filled with 6oz of succulent Meduri all-natural dried fruits and specialty mixes. 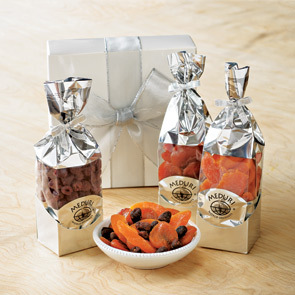 These unsulphured dried fruits arrive beautifully gift-boxed. Also available without gift box. 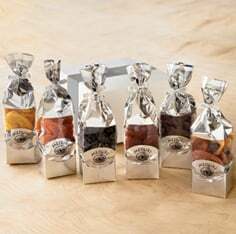 Succulent Three-Sampler Set comes with: Uncommonly delicious Sweetglow® apricots from California, Harvest Pride® peaches and Strawberry-Rhubarb Bites. 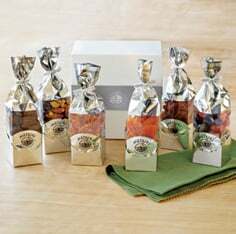 Browse all of the great tasting dried fruit sampler sets at Meduri World Delights!